The Bauma, the largest trade fair in the world, is getting even bigger. For Nooteboom an ideal opportunity to present their latest developments for international abnormal transport and the latest trends for the construction industry. The Nooteboom stand, number FN 721/10, is on the huge outdoor area. At the Nooteboom stand various transport solutions for the construction and crane sector are on show. A real eye catcher is the biggest ever EURO-PX low-loader from the Nooteboom programme. Also at the stand is a Manoovr semi low-loader with excavator trough and 80-tonne ramps, specifically for the transport of big and heavy machinery. And for the crane companies Nooteboom presents an extremely compact Ballasttrailer. In addition to innovations relating to trailers, ample attention is paid to the newly introduced NoVAB 3.0 axle load calculation programme and the Nooteboom Academy, which offers specific training programmes for drivers in abnormal transport. And scale model aficionados are catered for in the Nooteboom Shop, where various newly developed scale models are introduced. 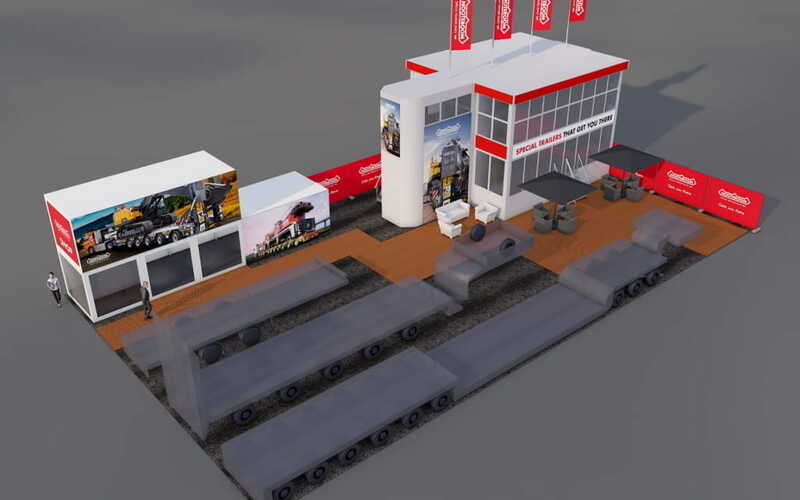 In order to provide the best possible service to everyone, Nooteboom will be at the Bauma with virtually their entire international sales and service team. We look forward to welcoming you between 8 and 14 April at the Bauma in Munich, stand FN 721/10.